simplistic use of budgets to generate targets. It is about the behaviours and practices that make predictable, profitable and sustainable Key Account Management possible. To achieve this the book is constructed to deliver- * Clear descriptions of the various techniques and the reason for their importance * A hugely powerful step by step approach to using the key techniques to build strategic skills * Templates for building real plans * Cases, examples and vignettes to show best real world practice Based on wide application in the business world, and the world class research at Cranfield Management School this book will be an essential introduction to the principles and reality of Strategic Key Account Planning. For senior managers, key account managers at all levels as well as those on executive and MBA courses it will be an essential guide and text. * As author of the hugely successful Marketing Plans (now in it's 6th edition) McDonald has proved himself one of the world's leading business authors- working here with Professor Lynette Ryals they have produced the authoritative guide to this crucial area of business to business marketing. * Carefully constructed step by step approach allows the reader to build strategic thinking, and highly developed templates allow real world planning. 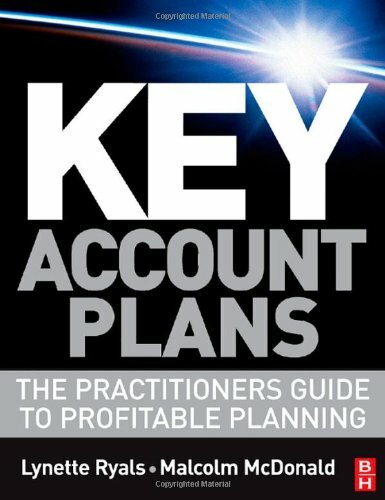 * The use of key cases and examples illustrate best practice in action and allow the authors to demonstrate the power of their strategic approach to drive profitability across all industry sectors.